PJSC “Azot” (Cherkasy) attaches great importance to the improvement of employees’ labor conditions and life quality in Cherkasy and Cherkasy region. Having joined OSTCHEM, the enterprise started the implementation of the program "Save your city" initiated by Dmitry Firtash, the President of the Federation of Employers of Ukraine (FEU), the Head of the Board of Directors of Group DF. The main target of this program is realization of the social infrastructure developing projects. 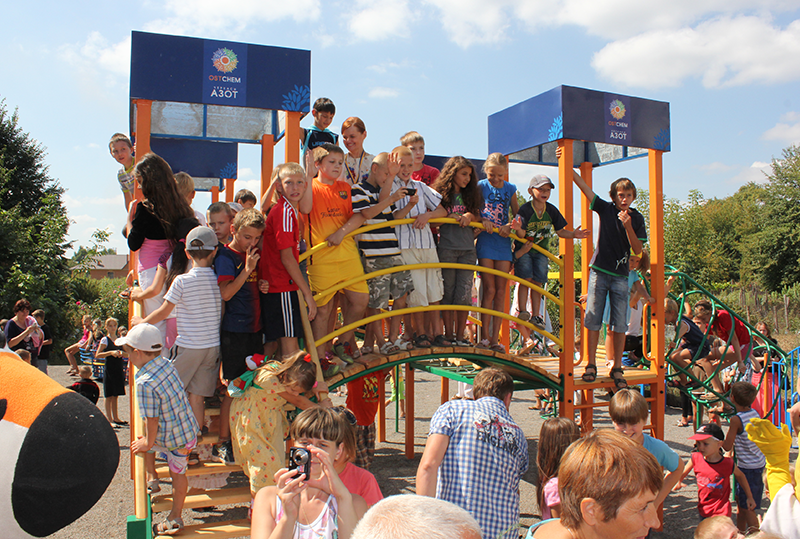 PJSC “Azot” (Cherkasy) provides local schools with technical and financial support, builds children’s yards and sports facilities, allocates funds to road’s repair as well as supports bright festivals and social events in the city and region. The most important events in Cherkasy over the last years was the reconstruction of the largest concert hall in the region Culture Center “Druzhba narodiv” and foundation of rehabilitation center with high-tech medical equipment for children suffering from diseases of the central nervous system. PJSC “Azot” contributes to development of chemical education on regional level and assists schools in national chemistry Olympiads organization. Furthermore, the enterprise promotes schoolchildren creativity and popularizes the healthy life style, volunteer movement and both native city and environmental protection among the growing up generation.